When a home is purchased, the owner generally knows which renovations he or she would like to do in the future. The purchase of a home is one of the biggest investment homeowners make and a good investment is expected to have a positive return. Most homeowners will have a list of home improvements in mind to increase its resale value. Making these changes a reality takes a lot of time, hard work and, of course, money. Refinancing is a popular way people fund projects like these. After the housing crash, many homeowners have put away dreams of remodeling their homes. As the market continues to improve, more homeowners are seeing the opportunity to better their home and, along with it, its resale value. However, a home renovation project may come with a big cost. A renovation needs to be done by quality contractors and with materials that can stand up to the test of time. Changes and additions to your home will, of course, vary in pricing, depending on the remodeling you wish to do. 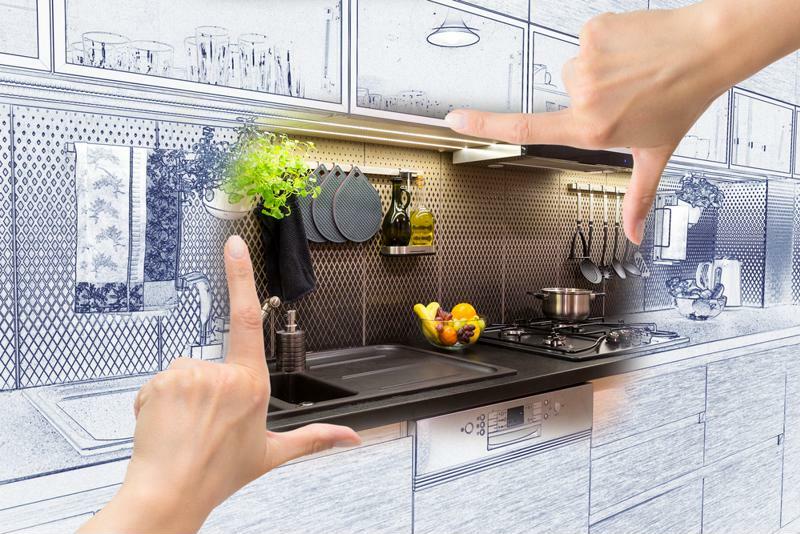 A good kitchen renovation could be as much as $100,000. Adding a garage could cost between $6,000 and $12,000, SFGate explained. While these prices may be out of range for many American homeowners, there are ways to finance these renovations. Using your home equity is a common way to pay for a remodel. Refinancing works by trading in your current mortgage, along with its term and interest rate, for a whole new one. A type of refinancing solution is a cash-out refinance, which results in a new mortgage, as well as the cash value of a portion of the equity your home has accrued. This will result in a larger mortgage, but the funds to finance a renovation may, in turn, increase the value of your home. SFGate explained that homeowners who wish to refinance their mortgage to pay for a major project should determine what kind of project they want to take on, specifically. Once they decide this, they must determine how much it will cost. This will likely mean doing some research in your area to find contractors who have experience in the type of remodel you wish to do. Compare rates to find out how much the price will likely be. It’s also a good idea to do your homework in this regard to make sure you hire a quality contractor. It’s a good idea to find out how much your project will cost by speaking with contractors. By tapping into the equity in your home now, homeowners may improve the resale value of their house and can still take advantage of current historic low rates. Once you know how much your renovation will cost, consider the amount you wish to borrow. You will also have to determine how much you can get from a cash-out refinance. You may need to have your house appraised to find out these figures in addition. Finally, you will need to get in touch with a mortgage company that has experience with offering a wide-range of refinancing solution, such as Lenox/WesLend Financial. To take advantage of your refinancing options, contact Lenox/Weslend Financial or call 844-225-3669. As heard on the radio, it’s the biggest no-brainer in the history of mankind.